Lift, breathe, swing, release. Strike. The electric atmosphere at Orchid Bowl in Orchid Country Club was unmistakable for anything but the pride of the various supporters for their schools, and there was never a moment when the cheering stopped. 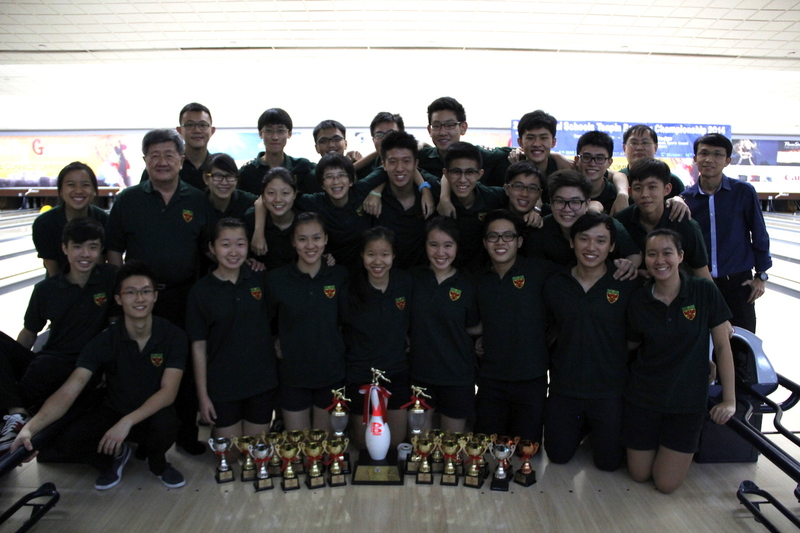 With the 34th Council pouring on the support, the A-Division bowlers of Raffles Institution bowled their way to strong finishes. Surprisingly, the boys were not always in command, as one would surmise looking at their performance on 29th April at Orchid Bowl. 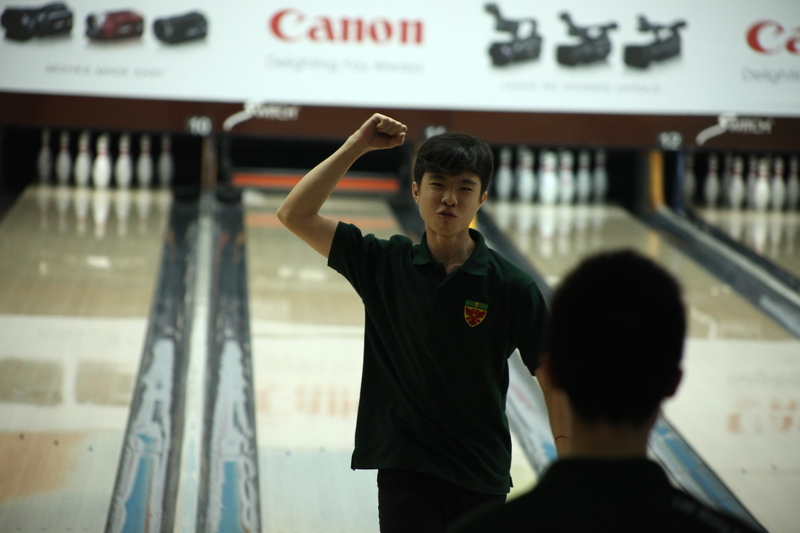 They had been trailing Anglo-Chinese Junior College (ACJC) for the first two days of the tournament, but pushed hard to claim the lead on the third day. Following that they gave no quarter on the final day, and cruised to victory, claiming the overall school champions spot. Both he and his teammates were clearly elated at their success. 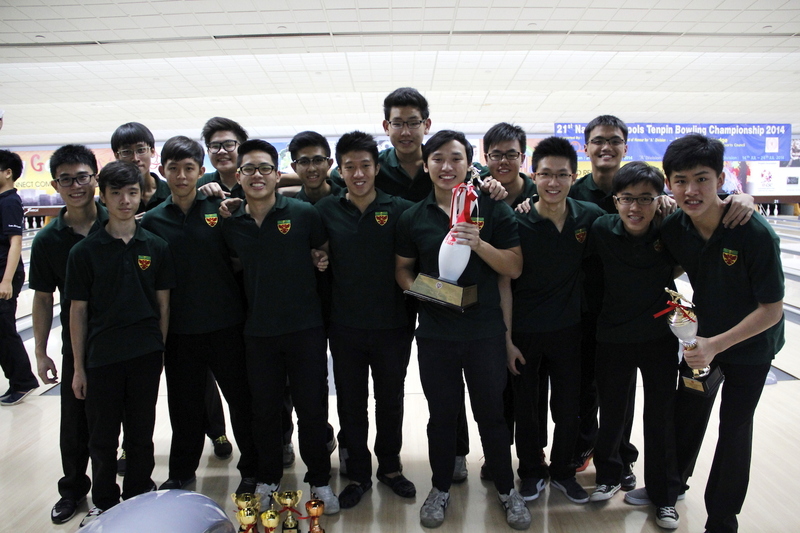 The team comprising Marcus Seah, Ian Siow, Ng Kai Xiang and Jevarn came in first for the Team event, Jevarn and Marcus came in 2nd runner’s up for the Doubles event, and Jevarn clinched the overall all events gold with a 29 pin lead. 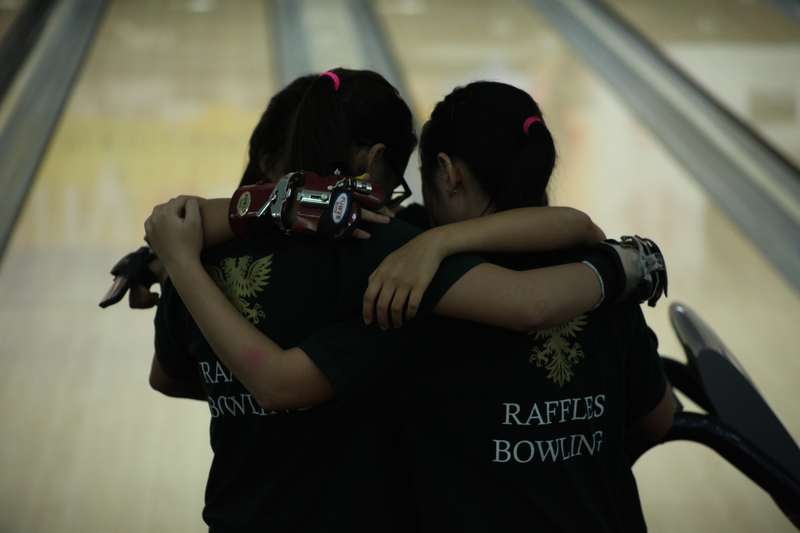 The girls also performed strongly, however they missed out on top spot for overall schools, losing narrowly to the ACJC girls. They had taken the lead on the first day, but after ACJC had wrested it back on the next, they were left playing catch-up. 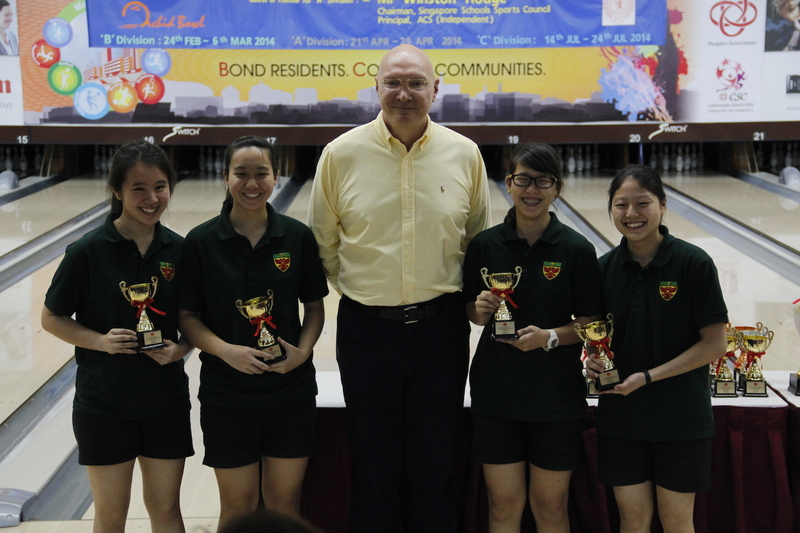 The team of Joey Yeo, Kristin Quah, Cheritta Low and Darolyn Tan came in first for the team event, but their performance was not enough to take the overall girls’ champions position. Also a national bowler, Joey Yeo performed spectacularly. She and Jamie Lim came in first and first runner’s up for the Singles event, respectively. In the Doubles event, the pairs of Joey and Kristin, placed first, while Darolyn and Cheritta came in second. Not only did Joey win the high game award for two separate events, scoring pinfalls of 248 and 247 during the Singles and Team event, she also clinched the overall girls gold with a 326 pin lead in what was a seemingly effortless performance. When asked about the future of RI Bowling, Cheritta was pensive. “Seeing a lot of our juniors train for the past half a year or so, I’ve seen them improve a lot and I am very proud of them. And though we placed 2nd, there is still a chance to fight. There is no definite ‘winner’ or ‘loser’, it can only go up from here,” she said. All five teams were also buoyed by the constant support by the Rafflesian councilors,who themselves were enjoying the action. One of the supporters even wanted in on it, saying that “everyone [wanted] to bowl, because it [was] so fun.” The bowlers never forgot the supporters even throughout the whole four hours of the final day, acknowledging their cheers constantly. Amidst all the feelings about the game, Rebecca Wong felt wistful that her competitive days were probably over. “I’ll probably and hopefully continue [bowling] as a leisure sport, and it’s so sad as this is our last major competition,” she told Press. The fight is not yet over for Joey, Cheritta, Jevarn and Kai Xiang, though. The four of them ride high on confidence into the Masters Finals, to be held on the 3rd of May at Orchid Bowl. The event will be starting at 8 AM, so do hop by to offer your support if you can! All of us here at Raffles Press would like to congratulate everyone, and the best of luck to those competing this Saturday.